WinPatrol Portable runs on Windows XP, Vista, Windows 7, Windows 8.x, & supports Windows 64 bit features without conflicts with other programs. 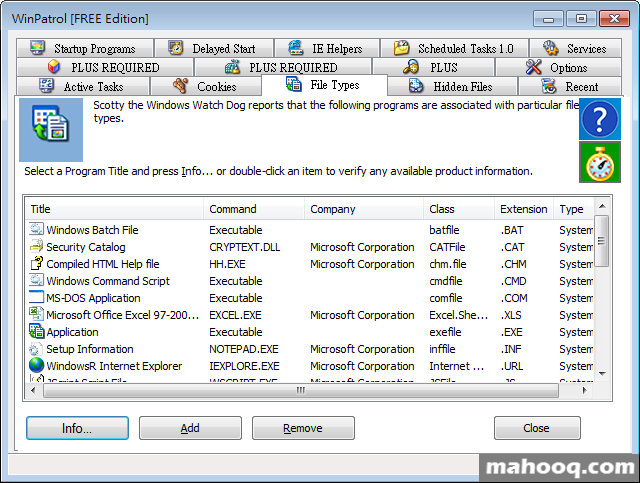 The addition of WinPatrol provides a layered security approach required when even legitimate programs try to install unwanted toolbars. When you download from WinPatrol.com you receive a secure, certificate signed application.